Slots Betting Options: How Important Are They? 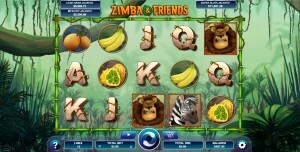 Slots players take many things into account when choosing games, like RTP, jackpots, and themes. But slots betting options are one of the most-overlooked aspects of picking games. Betting options play a huge role in bankroll management. Therefore, they should carry more weight among players. Nevertheless, some gamblers don’t put much thought into the wagering options. I’m going to discuss why it’s important that you think long and hard about available bet sizes before playing. What Are the Slots Betting Options? The wagering options can change from game to game. Some only allow you to adjust the coin size, while others let you change paylines, coin size, and coins per line. The more options the better. Being able to customize allows you to choose a wager size that’s perfect for your situation. A slot that lets you adjust lines, coin size, and coins per line means that you can bet anywhere from $0.01 per round to the max. Some slots developers offer games with fixed paylines. This creates a situation where you must play a specific amount of lines in every round. 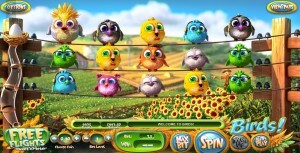 A slot with 50 fixed lines, for example, would force you to bet at least $0.50 per spin. You may have no trouble covering this for a few rounds, but it can get pricey when you’re playing for hours. Of course, you may find that games you love have higher fixed lines. Be prepared to make larger minimum wagers in these cases. You can’t expect to play slots for very long with a $20 bankroll on a game with 100 fixed lines. Such a scenario only gives you 20 total betting units (20 / 1). The key is to consider your personal situation and what you can afford to play. With a $20 bankroll or less, you’re going to want to choose games with more betting options and/or fewer fixed lines. The goal is to stretch your bankroll and slots entertainment. Paying attention to slots betting options is a great way to do this.